​England will host the Women's European Championships in 2021. The Football Association did not face any competition in its bid to host the tournament, but they had to meet strict guidelines in order to receive the approval of UEFA. Details for the schedule of the tournament will now be finalised, but ​BBC Sport report that the FA's proposal will see the final held at Wembley Stadium in London. England will qualify automatically as hosts, and they will compete with 15 other nations at the tournament. The draw for qualifying will take place on 22 February 2019 at UEFA headquarters in Nyon. Wembley will only host the final, with the other 30 matches taking place across eight stadiums, including two Premier League grounds: Brighton's Amex Stadium and Southampton's St Mary's Stadium. The home stadiums of Brentford, Milton Keynes Dons, Nottingham Forest, Rotherham and Sheffield United will also be used for the tournament, as well as the Manchester City Academy, where Manchester City Women play their home games. This will be the first time England has hosted the tournament since Euro 2005, when only eight teams competed, with Germany beating Norway in the final at Ewood Park. 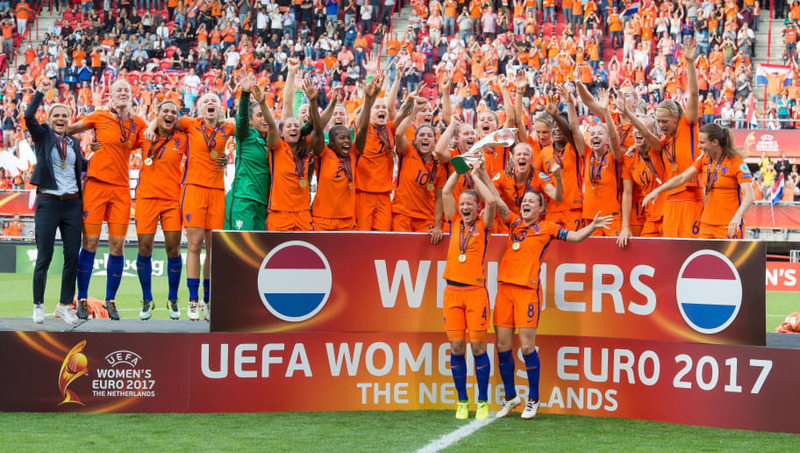 The reigning champions going into Euro 2021 will be the Netherlands. They knocked England out in the semi finals on home soil last year before beating Denmark in the final to win the trophy for the first time. The FA will hope to use this tournament as evidence of their ability to host a World Cup in the men's game, as they are in talks to bid for the 2030 World Cup alongside the other Home Nations and Ireland.